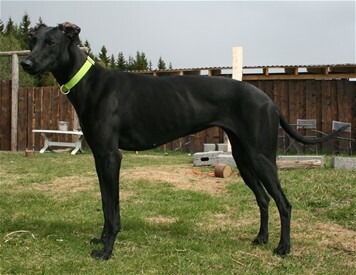 "Lucky" (50/50 vorsther/greyhound) is black, 28 kg, and sister of Buff and Bergans. Timmi is a pure Vortsher own by Eva and Erlend Aadland. 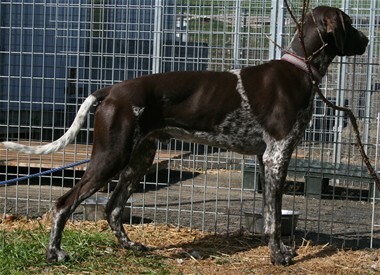 "Timmi" is from Solveig K Aaseby's breed. He is 35 kg, great head, and one of the best looking bodies I have ever seen on a Vorsther. It is pictures of the partents under "dogs".